First launched in 1969 for Italian clients, the Feadships Monara and Sultana (ex. Din-Dina III) have both been brought back to life under the management of Dutchman Kees van den Hoek. The story began almost a decade ago when Kees found Sultana in the south of France. The rusty hull I’d seen languishing in a yard made for a stark contrast against the beautiful backdrop of the village of Beaulieu-sur-Mer. It was the summer of 2007 and the wreck had intrigued me for a while. It was something about her shape; she had an air of bygone elegance that made me wonder how an abandoned lady could fall on such hard times. My initial suspicions proved correct – this was a stalled refit project, now home to gorgeous Gardner engines but little else as the interior had been removed. With financial backing from a friend who’d always wanted to own such a yacht, I began returning Sultana to a seaworthy state. We used scrap timber for the dashboard, closed the windows with wood & nails, put Plexiglas in the wheelhouse, and got the engines running again. I hired my son’s rugby club to carry on nine tonnes of sand for ballast and the hull was made sufficiently seaworthy to return to Holland on her own keel. The tradition of lo-tech manoeuvres continued during the crossing: to keep costs down, the navigation lights were borrowed and the VHF came from eBay. We had a chemical toilet, a saloon with two beds and a makeshift galley in the corner – and she was completely hollow down below. It was a real adventure. Arriving in the Netherlands we headed for a yard in Enkhuizen which would paint the hull and prepare for outfitting. Halfway through I was fortunate enough to meet Ico Vergouwe, refit manager at Feadship. He told me that the Makkum yard was currently carrying out a refit on the 22.50-metre Riva classic Feadship Serena. Small-scale refit projects like this are rarely seen at Feadship and we were able to benefit from the master/apprentice teams formed for the Serena refit (concluded in 2011). Feadship agreed to deploy its considerable skill and knowledge to finishSultana for a budget appropriate for her esteemed age. It took three months and a lot of help from yachting contacts to track down Monara(then called Olympia) in Barcelona. A gentleman who had chartered Sultana had already asked me to look out for a classic yacht to restore, and Monara was ideal. Although she’d not been cruising for two years I found a crew willing to sail her to Holland. They may have been less keen if they’d known how weak the hull was: after the interior was dismantled and we were cleaning the inside, a huge hole opened in the hull. A hull in which we had just sailed all the way from Barcelona to Holland broke under the pressure of a hose! There’s not much left of the original Monara today – the whole design has changed. The Gardner engines, windows, steering wheel and compass are original, but that’s as far as it goes. The all-new interior I designed reflects how sailing behaviour has changed between now and the sixties. The library has been replaced by a dining area, the galley separated from the guest area and the wheelhouse has an open layout: where it used to connect to the owners’ cabin, it now opens downwards, liberating space for a seating area. Back when Monara was originally built owners did not want to sit with the captain; now they do. Monara has an airy ambiance: all the windows in the lounge and portholes in the cabins can be opened. The bronze mechanism behind the original windows has been completely reconditioned during the refit. The varnished teak has been replaced with dark-stained oak and a walk-in wardrobe added instead of lockers, reflecting the way people travel lighter today. The four cabins on Monara can be customised by combining beds and moving side cupboards. The TV screens in each cabin are concealed behind one-way mirrors. Situated in a portion of the yacht where the hull gets quite narrow, the VIP suite represented a particular challenge. The furniture – including a large bed and vanity/working table – is arranged to optimise the available space. Monara’s comfortable crew quarters have been expanded at the expense of the owners’ area compared to the original design. The engine room contains Monara’s original Gardner engines, now given names like in the old days. Gardners are famous for being easy to maintain, extremely reliable, practically unbreakable and exceptionally economical. Now equipped with an electronic monitoring system, they produce most of the power for Monara, which has just one generator. Feeling that the engines were too beautiful to be concealed as they are on Sultana, Kees fitted a window in the saloon floor and illuminated them with spots and RGB lights. Monara features a 360-degree swivelling crane on the foredeck. The original anchor winches have been reconditioned and look brand new. The anchor locker, through which the anchor chain is accessed, doubles as a seat, and is flanked by a bottle holder and glass holder. 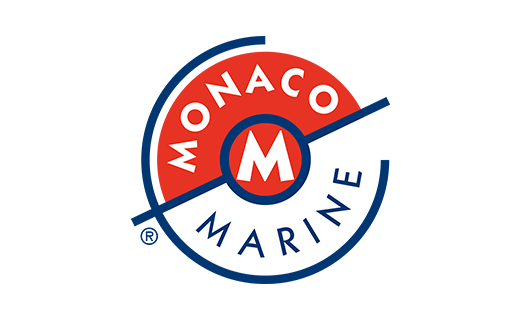 Kees was inspired to integrate this into the design after sitting on the anchor hatch on Something Cool during the Monaco Classic GP. Monara’s aft deck features lovely maple inlay in the teak stairs, which is almost fluorescent at night. Kees also added a lateral hydraulic platform, which allows easy access and doubles as a diving platform. The sun deck is arranged around a high-low table that can be transformed into a huge bed, and includes two supports for wine coolers. There are also two refrigerators and an icemaker here, as well as a barbecue stowed away in the composite chimney. Monara features an outlet in the mast for a 1000- watt subwoofer, as well as four 250-watt speakers forward and aft. The powerful sound system is controlled by smartphone. What I tried to achieve with Sultana and Monara was to preserve these historical artefacts while instilling them with all the luxury and comfort our times allow. The idea is to optimise living areas – in terms of both space and comfort – while maintaining a classic appearance. This is why, for instance, I extended the bulwark on Monara to hide the tender and crane that were previously on the top deck, transforming the latter into an area where guests can play. on the matter is that the original is only original when you can compare it. If you look at Sultana’s shape and silhouette, she is sturdy and masculine, while Monaraexudes a more feminine elegance. I love them both.